After the U.S. military had conquered Iraq in 2002-3, it faced the problem of what to do. 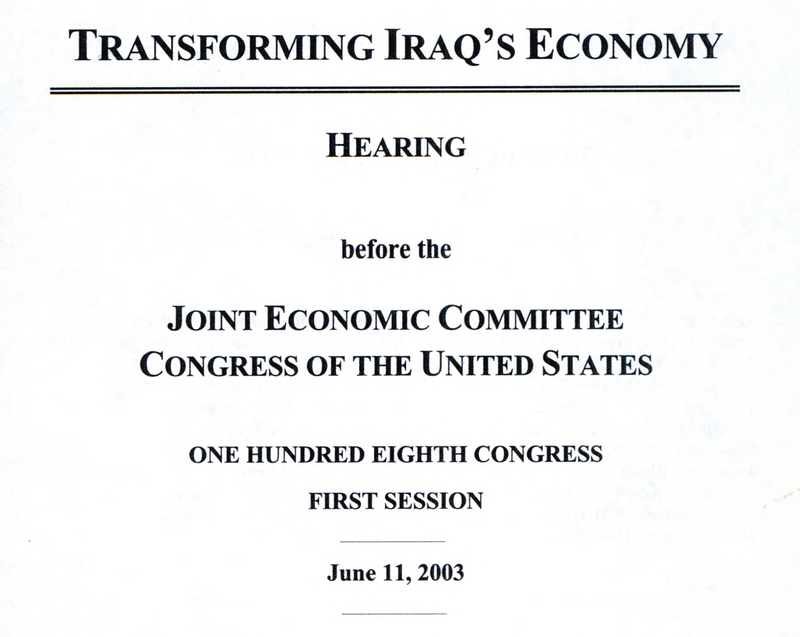 Congressional hearings were held by the Joint Economic Committee in 2003. Along with Hernando de Soto, I was asked by the Republicans (!) on the Committee to testify–in my case, on what the World Bank had learned from the West’s intervention in the post-socialist countries in the previous decade. As it turned out, it seems the U.S. (and proconsul Paul Bremmer in particular) used my recommendations as a negative-blueprint since the U.S. did just the opposite on the various points. Click here to download the testimony.